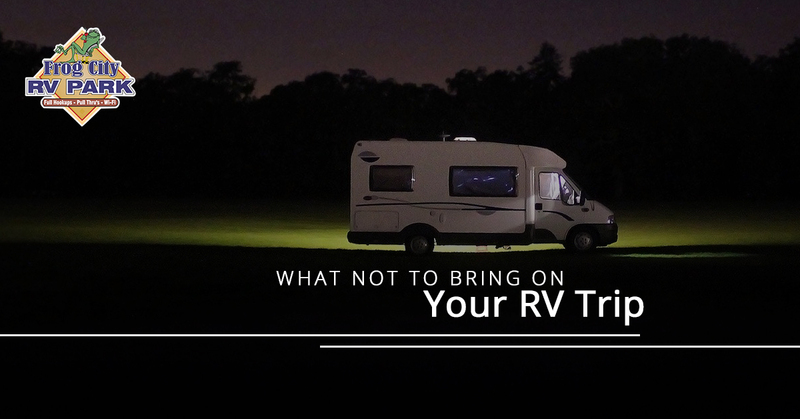 There are some things you absolutely should bring on your next RV trip. For example, dishes for cooking, sheets for the beds, and all your toiletries are essentials to pack into your RV, just as they are in your home. However, just as important as what you need to bring is what you need to leave behind. Some objects will only serve to take up space, add weight, and inconvenience you. Therefore, it is in your best interest to have a compelling reason to bring only things that you will genuinely use. 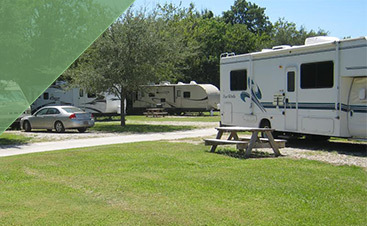 In this blog, we will go over some things that people often make the mistake of bringing with them on your RV trip. Back home, you may be like a lot of people and have an extensive selection of kitchen appliances at your disposal. While that Cuisinart might be very helpful for your baking projects, in an RV, it’s best to keep it simple. You may love your bread machine or wish you could wake up to heart-shaped waffles each morning, but these appliances will simply take up too much of your space and add unnecessary weight to your RV. The appliances you bring should be multi-functional and practical; if you aren’t going to use it everyday, don’t bother. Stick to pots and pans and utensils that are tried, true, and lightweight. Another common source of space-waste in RV kitchens is in the pantry. It’s typical for travelers, particularly those who are new to RV life, to become paranoid about running out of food. Before the trip, you might find yourself adding more and more canned goods to your list, and pretty soon, you are spending a small fortune to create a food surplus that could feed an entire city of people. Be realistic about how much you will actually eat so you can reduce the amount of space you take up and save money. Planning out your meals will go a long way towards helping you reduce the chance of overpacking. Remember that you will have plenty of opportunities on the road to restock. Many RV-ers are also DIY-ers; they want to be able to service their own vehicles. While we respect that, that doesn’t mean you need to bring the whole inventory of Home Depot along for the ride. A toolkit with the basics and a roll of duct tape should be sufficient for the majority of the time. Chances are you aren’t going to need your entire selection of socket wrenches. Before you pack a tool in your RV, consider the following question: how likely am I to actually need this tool? If you can’t think of a frequent use for it, don’t bother bringing it. When you are packing your RV, it’s important to consider weight. It might seem arbitrary, but your possessions can add up to a lot of weight that is decreasing the efficiency of your RV. For example, instead of bringing your hardcover copies, bring paperback books instead. Instead of ceramic plates, try plastic or paper. Use plastic instead of glass, as well as packets for condiments instead of full-sized bottles and jars. Where you can, remove items from bulky packaging to save space. Thinking of smaller ways to save space adds up to a lighter RV that moves faster and uses less fuel. 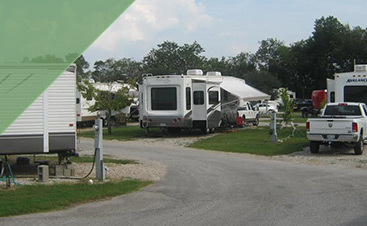 At Frog City RV Park, we are happy to provide you with a place to stay on your next RV trip through Louisiana. 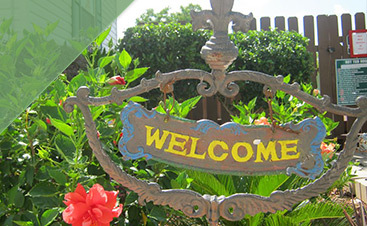 We offer free cable, WiFi, pull throughs, hot showers, and propane fill ups. Book your reservation here today!